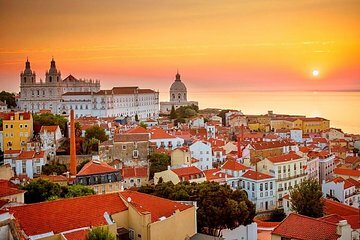 Get a personalized introduction to Portugal’s ancient capital on a private, full-day tour of Lisbon. Save your feet from fatigue and avoid the stress of public transit as a guide takes you around the most interesting neighborhoods in a private vehicle. Get out to explore the winding medieval streets of Alfama, enjoy a typical Portuguese meal in the Bairro Alto, and learn the history behind the monuments of Belém. Guide was friendly, knowledgeable and accommodating. The day had a nice pace and mix of traditional and new sights. Great tour, guide was very knowledgeable and thorough. Answered all of our questions, spoke perfect english.